The Capuchin Friars first arrived in Dublin in 1615, but it was not until 1624 that the first friary was established, in Bridge Street. They came to Church Street in 1690, shortly after the Battle of the Boyne and opened a “Mass house” at the site of the present Church. The Mass house was enlarged in 1796. The present Church dates from 1881. The architect was James J.McCarthy. 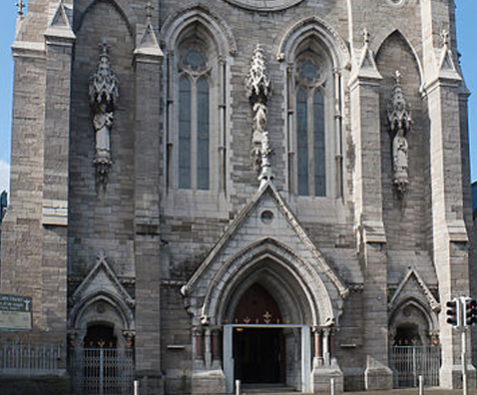 The altar and reredos was designed by James Pearse, the father of Pádraig and Willie Pearse who were executed after the 1916 Rising. It was friars from the Church Street community that attended those executed in 1916 and administered the last rites. Today the friars serve the local community through parish work and through the Capuchin Day Centre. The Capuchin Mission Office which supports the work of the Irish friars overseas, in Zambia, South Africa, New Zealand and Korea is also located in Church Street. 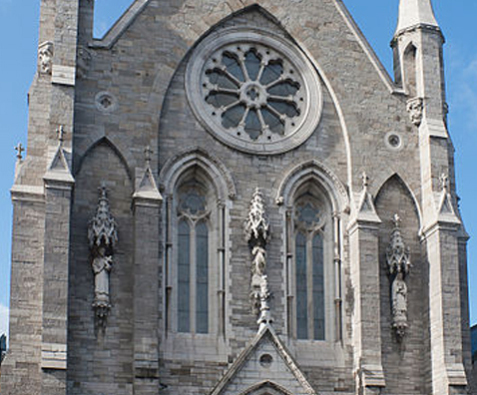 St MAry of the Angels is not a parish church, however, the Friars also have responsibility for Halston Street Parish, one of the oldest in Dublin City Centre. Please follow this link to the Halston Street website. Saturday after 9.30am Mass and Tuesday before 7.30am Mass. Also available on request. Monday to Friday: 9am to 1pm / 2pm to 5pm. Saturday: 9am to 1pm. Closed on Sundays and Bank Holidays. 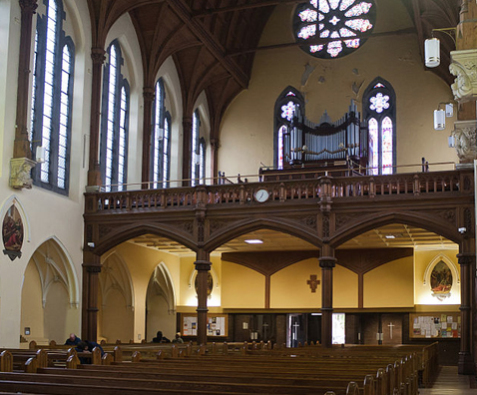 Sat 18th Feb: Queen’s University Symphony Orchestra Concert in Church St.
A Special Easter Invitation from the Friars!